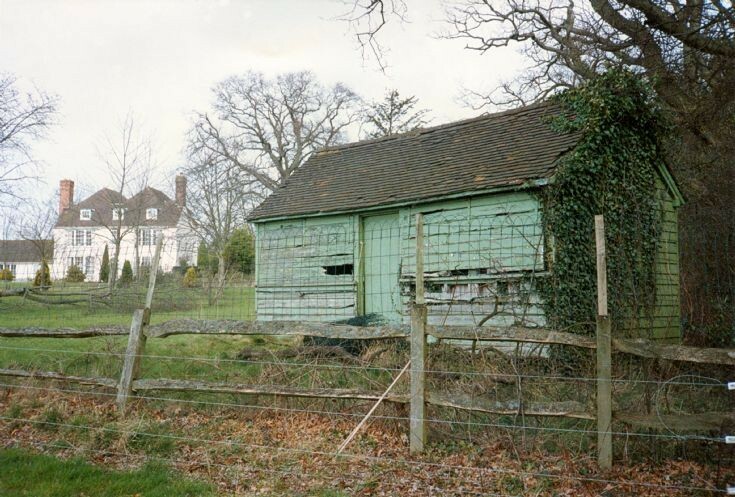 This is the old cricket pavilion of Slaugham cricket club situated on the border between the churchyard and the Old Rectory seen in the background. Three long hinges either side of the door run down to allow the flaps to be opened for viewing the match from inside. I'm glad to see this photograph which I took at the request of your father, Roger Ray. The pavilion was almost inadvertantly demolished about then, but is now maintained as "Listed".